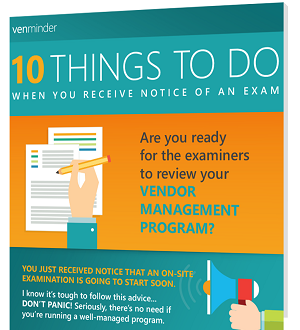 Are you ready for examiners to review your vendor management program? Notice of an upcoming on-site exam just hit your desk. DON'T PANIC! Let’s go through some of the key things you’ll want to do to ensure you're ready to show off your third party risk management skills.